ReSharper 6.1 introduces more fine-grained control over Intellisense. 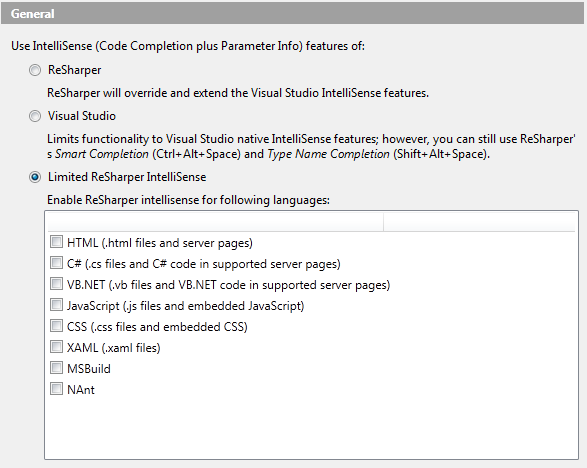 As shown in the screenshot, in addition to the two older options (enhancing Visual Studio’s Intellisense with ReSharper or leaving as is) we can now select which technologies to apply Intellisense to. It is important to note that by de-selecting a technology, we do not switch off Visual Studio Intellisense for that technology, but only eliminate ReSharper’s enhancements of it. Display but do not preselect which will display matching values but will not preselect it. Same as we have done with the After ‘new’, we can do with many others.We have tried to think of the most common scenarios where one would like to control this behavior. Please let us know if you feel something is missing. 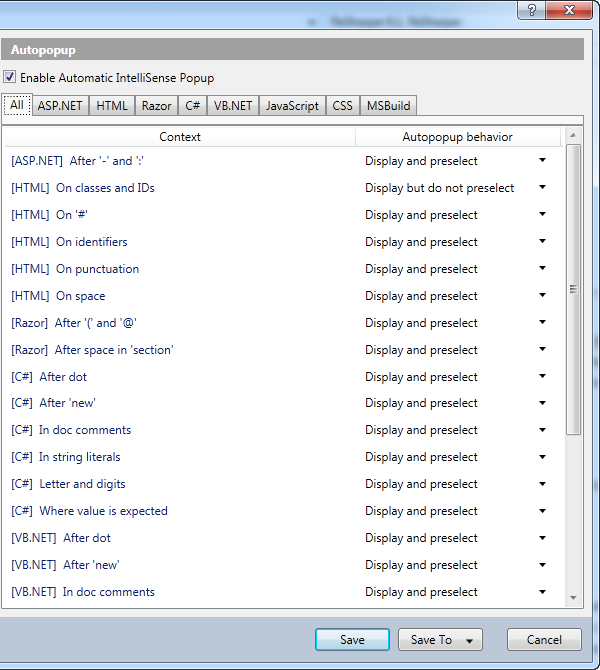 Hopefully however, this makes working with Intellisense productive and often less intrusive. This entry was posted in How-To's and tagged code completion, ReSharper, ReSharper 6. Bookmark the permalink. That was quite annoying. Thanks for fixing it.